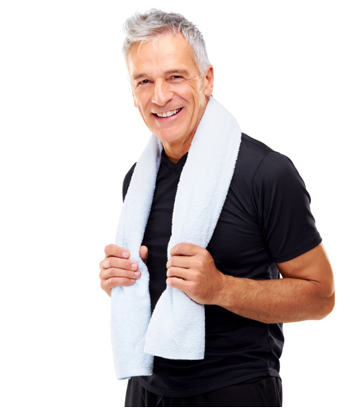 Bio-identical Hormone Replacement Therapy achieves the sustained levels of testosterone that would be produced by normally functioning testicles. This form of therapy is the only kind that produces the natural level of this hormone. Because the testosterone used is totally natural, it is ideal for men wanting the benefits of a bio-identical hormone, without the drawbacks of a synthetic. Symptoms of testosterone deficiency in men include fatigue, lack of mental acuity, loss of libido, and difficulty achieving or sustaining erection. Why bio-identical hormone therapy for men? Hormonal needs for men have received national attention, but with marginal treatment options available. Synthetic hormonal treatments for men can be expensive, require daily use, and in many cases, need to be carefully timed with their partner’s needs for normal sexual activities and pleasure. 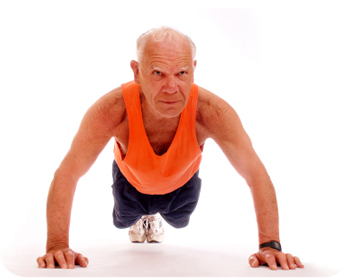 Current medical research now defines the male equivalent to menopause as andropause. Men experience a more gradual decline in hormone levels. They lose approximately one percent of their testosterone and 2.5 percent of their DHEA per year beginning at age 30. There are many causes of testosterone deficiency. A medical history, physical exam, and proper laboratory evaluation are imperative. The medical history should include questions regarding abnormalities at birth, the current status of sexual function, and secondary sexual characteristics, such as beard growth, muscular strength, and energy level. Hypogonadal men have statistically significant reductions in the incidence of nocturnal erections, the degree of penile rigidity during erection, and the frequency of sexual thoughts, feelings of desire, and sexual fantasies. Furthermore, alterations in body composition, changes in adipose tissue, increases in percent body fat and reduction in muscle mass, are frequently seen in hypogonadal men. Proper labs should be drawn to determine a diagnosis. The following levels should be drawn in the morning: FSH, LH, SHBG, Total and Free Testosterone, Estradiol and Estrone. Testosterone replacement should, in theory, approximate the natural endogenous production of the hormone. The average male produces 4-7 mg of testosterone per day in a circadian pattern, with maximal plasma levels attained in early morning and minimal levels in the evening. Oral agents may cause elevations in liver function tests and abnormalities at liver scan and biopsy. 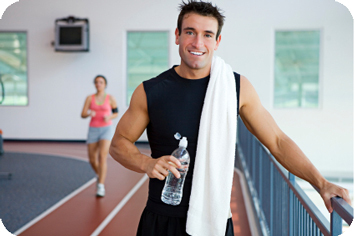 Both modified and unmodified oral testosterone preparations are available. Unmodified testosterone is rapidly metabolized by the liver, making satisfactory serum concentrations difficult to achieve. Modified 17-alpha alkyltestosterones, such as methyltestosterone or fluoxymesterone, also require relatively large doses that must be taken several times a day. Sublingual testosterone is placed under the tongue and is usually in the form of a square or circle, depending on strength of troche. A sublingual dose is given twice a day. It by-passes the liver and takes about 2 to 3 minutes to dissolve. The taste is generally bitter but the compounding pharmacies will flavor it to mask the bitterness. Testosterone levels will rise and fall on this therapy which is why it would be best to be administered two or three times a day in smaller doses. Clinical studies of transdermal systems demonstrate their efficacy in providing adequate testosterone replacement therapy.3,4 Transdermal therapy can be made in a cream or gel by a compounding pharmacy. Different strengths are used, ranging from 10mg to 200mg per ml. A daily dose is given in the early morning hours. For best results of maintaining physiologic testosterone levels you would want to administer testosterone twice a day early am (5am to 7am) and again around 1 to 4pm. Patients on testosterone replacement therapy should be monitored to ensure that testosterone levels are within normal levels. The prescribing physician should evaluate any changes in the clinical signs and symptoms of testosterone deficiency and should assess for acne and increase in breast size and tenderness. Serum testosterone levels should be checked between 5 to 7 hours after administration of topical or sublingual delivery systems. A prostate specific antigen (PSA) should be checked in all men before initiating treatment, repeated at three to six months, and then annually in men >40 years of age. A confirmed increase in PSA >2 ng/mL, or a total PSA >4.0 ng/mL requires urologic evaluation. The hematocrit level should also be checked at baseline, at three to six months, and then annually. A hematocrit >55% warrants evaluation for hypoxia, sleep apnea, and/or a reduction in the dose of testosterone therapy. Measurement of bone mineral density of the lumbar spine and/or the femoral necks at one year may be considered in hypogonadal men with osteopenia. There appears to be little association between testosterone replacement therapy and the development of prostate cancer. The etiology of prostate cancer is apparently multifactorial, and dietary, geographic, genetic, and other influences are all thought to play a role in the development of the disease. Recent studies indicate that testosterone levels have no apparent systematic relationship to the incidence of prostate cancer.16,17.